Although not as neurotic with shoes as women, men also have a splurge for special brands and expensive shoes. 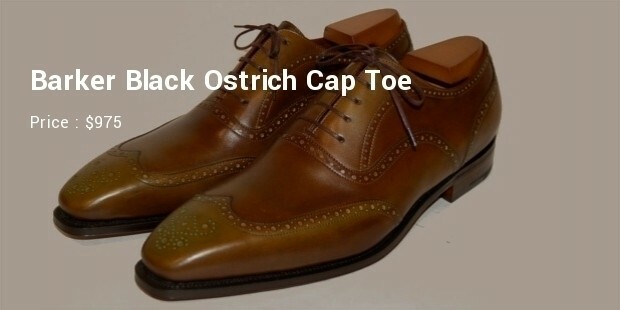 However, options for men’s shoes are quite limited. 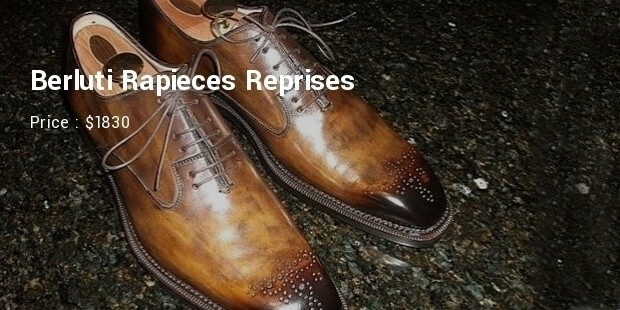 Yet, there are brands that have held men’s interests for providing timeless and bespoke designs in shoes. Who said that bling is only for the femme. Diamonds are for men too. Stones as shoe accessories give a different touch to masculinity in totality. Phil, Aubercy’s most expensive diamond studded shoe is studded with diamonds in the classiest of ways. 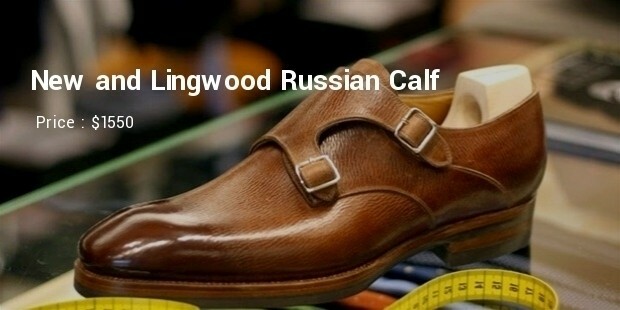 These shoes come in the range of $3000 and above depending on the make. 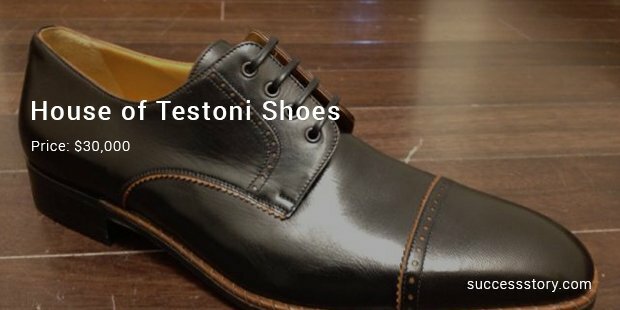 Very popular with young professionals, Bostonian provides shoes that can be worn on any formal occasion. The key aspect of Bostonian shoes is that they don’t get worn out easily. Moreover, the shoe sole stays in one piece despite the daily use. 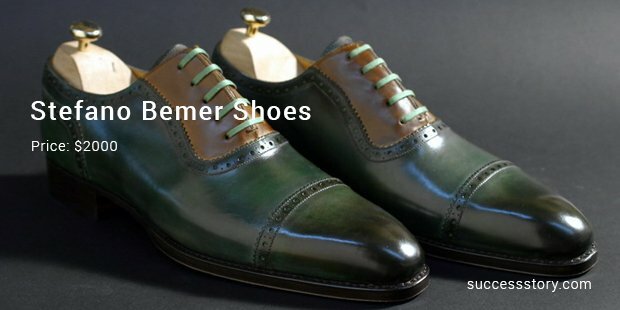 Furthermore, leather shoes from this brand do not need any extra care and have a long-lasting shine. Akin to women, men also take pleasure in wearing luxurious shoes for their feel and comfort. 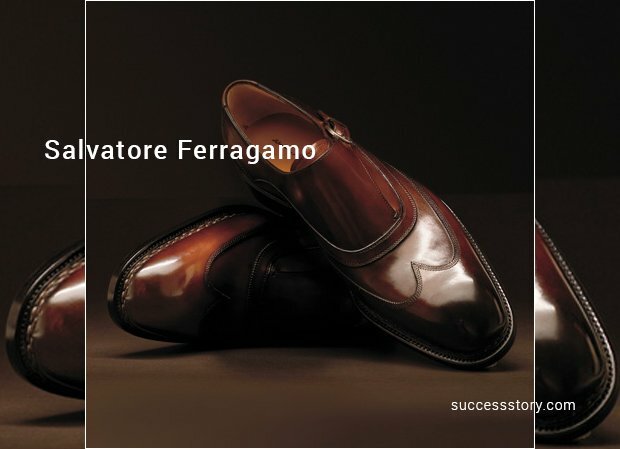 Salvatore Ferragamo is one of the most expensive and most popular brands that attract Hollywood celebrities and the elite, providing shoes with materials like patent, suede and leather. 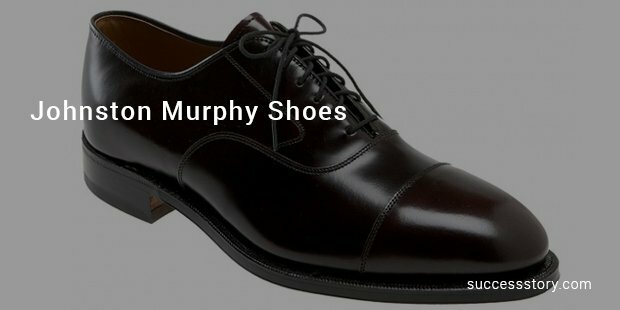 Johnston and Murphy is one of the topmost brands renowned for providing men’s formal shoes. Although not the most expensive option, a pair of Johnston and Murphy shoes definitely catches the attention of shoe lovers at first sight. The brand is known to provide shoes that are comfortable as well as long-lasting. 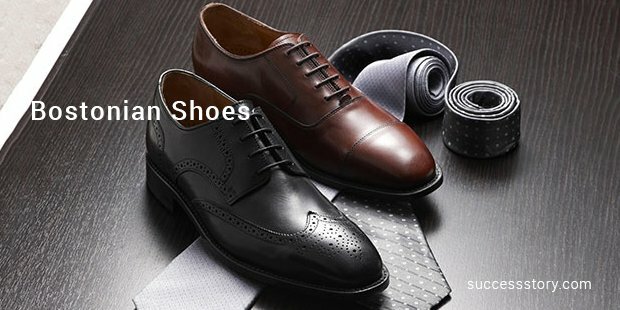 The cap toe shoes are the most loved products of this brand. 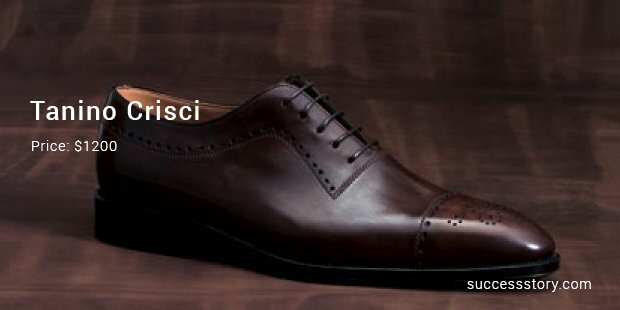 Collaborated with world famous Gucci, the Stefano Bemer shoes are simply made by hands that have excelled in the art of shoemaking. Breathtaking styles and detailed work will leave the shoe lovers bedazzled forever. Be amazed to know that a single pair takes a minimum of three months to finish! Need we say more. Shoes that rank in the luxurious. Price starts $2000. 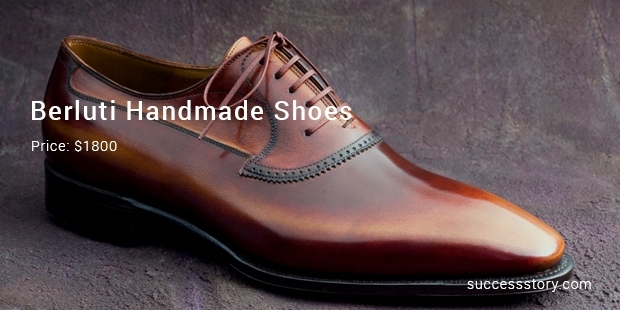 If there is one thing that turns on men other than beautiful women, it’s the hand made shoes. 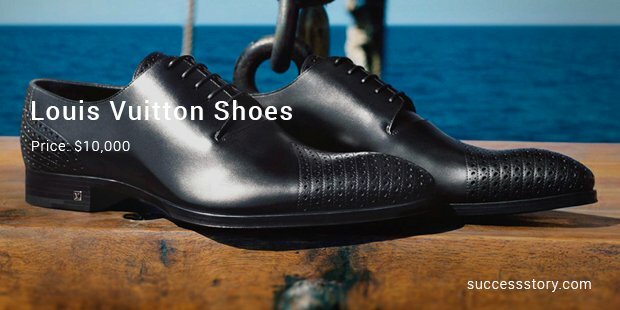 Berluti, one of the top leading luxury brands brings in top notch hand made shoes cut to make you one of the best. Unique styles and shapes make the name all the more a rage among the shoe fetish. Price starts $1800. Let us cut to the chase. Most expensive shoes should smell and look it. 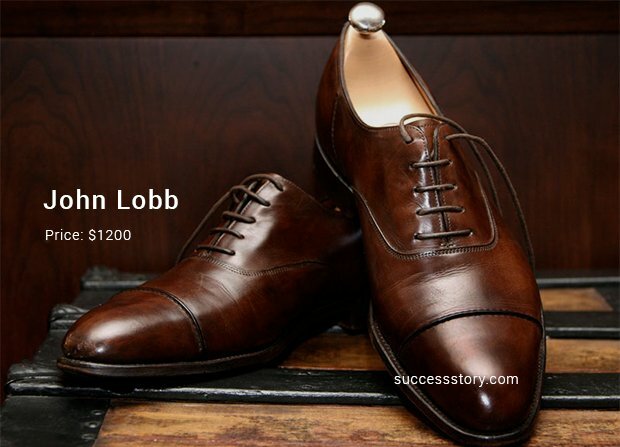 John Lobb fits the description. 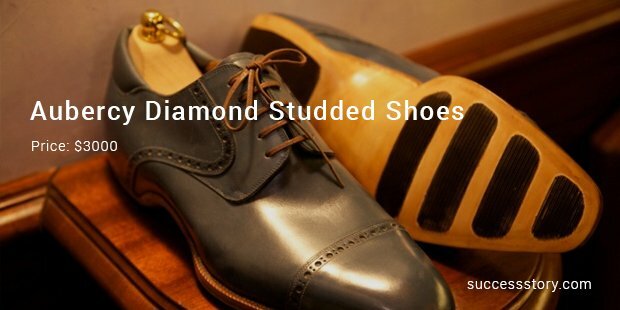 In business since 1860, the brand stands out exceptionally in the shoe market for class, elegance and richness. Want to have these heavenly shoes? Carry $1300 in your wallet while about to shop! 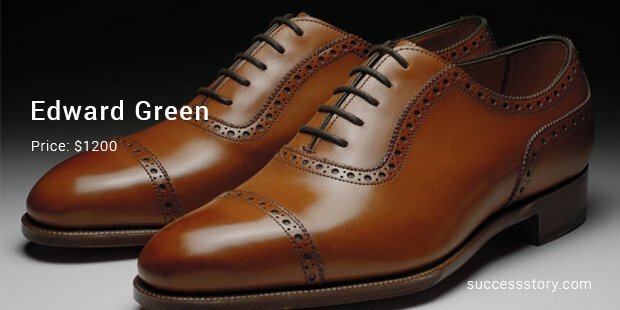 Mark of the Brits and time tested English brand, a pair of Edward Green will leave you feel like a complete Englishman. In business since 1800, the brand is a mark of quality, trust and style. Made by experts in the trade for years coming down the generations, Edward Greens are a must have in the luxury range. Cost stars $1200. They say Italians know fashion like no other. Tanino Crisci is a live example of the statement, fulfilling every fantasy of ‘homme’ to own an upmarket variant. Heavy on the wallet and delight to strut in, Tanino Crisci never lets a man down. The cost starts anywhere from $1200. 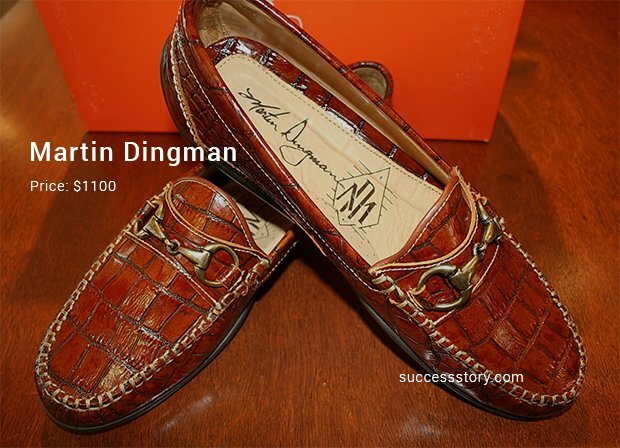 Perhaps the latest rage in the men’s shoe segment, Martin Dingman has created quite a stir. Though they are more in demand for their leather collection, the formal range is not quite far off from gaining a worldwide appeal. Those who can splurge on a pair of MD should be able to choke up a minimum of $1100. The shoes are worth the investment, ringing in class and style.